October | 2011 | I have to write something EVERYDAY?! This is the last full week for me for quite a while. Next week we’ll have parent conferences on Monday. The week after that there will be a two-day holiday followed by a field trip. The next week I have a workshop to go to. The following week is Thanksgiving holiday. I cannot tell you how glad I am. We’ve been needing a vacation for a while. First graders get antsy if there is nothing to look forward to. That’s why I gave them something to look forward to this week: “the matter show.” Jack and one of his grad school pals came and did some states of matter demonstrations for kinder, first, and second today. We’ve had a matter show countdown during calendar time for the past two weeks! It all culminated today when the kids got to see racquet balls shatter, a not-quite-a-liquid-not-quite-a-solid substance, and ice cream made with liquid nitrogen. My little munchkins were so happy! In language arts we finally finished our first published work of a personal story. They’ve also been continuing their literacy groups (which are going really well). We also had about 19 tests during this week of everything from a running record of their words per minute to their listening skills. Poor munchkins. In math we finished our unit our unit on understanding subtraction and began working with a ten-frame. They’re really catching onto how to use the ten-frame quickly. Math takes about 30 minutes now. Yay! You’ve already heard about science a bit, but we talked about states of matter and then they took a test where they looked at pictures and then told which state of matter it was. The bonus was: what state of matter is lava? ASIAN NOODLE- I boil some whole grain spaghetti while I heat soy sauce, sesame oil, ginger, and a bit of salt in a sauce pan. 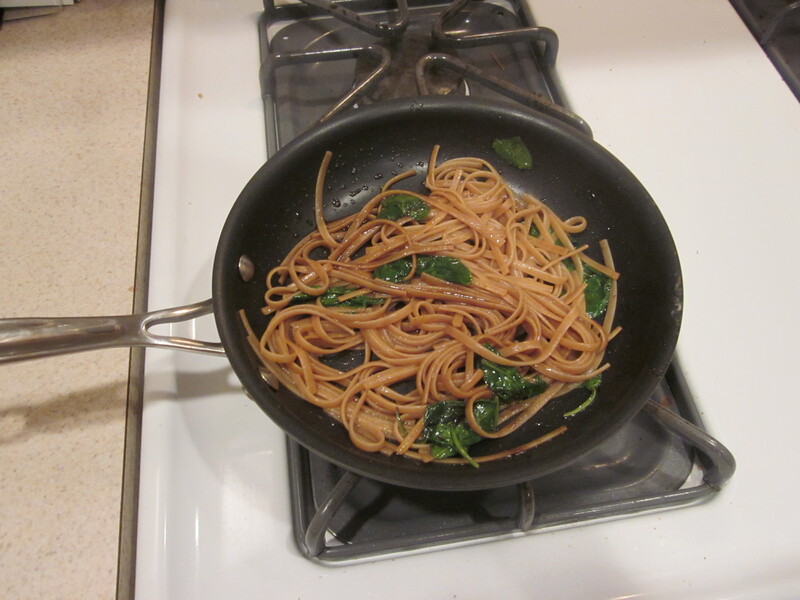 After I have drained the noodles, I turn off the heat on the sauce pan and mix in some spinach until it is limp, but still crunchy. Then I stir in the noodles. Yum Yum Yum! FIESTA (usually followed by a siesta)-This is even easier! 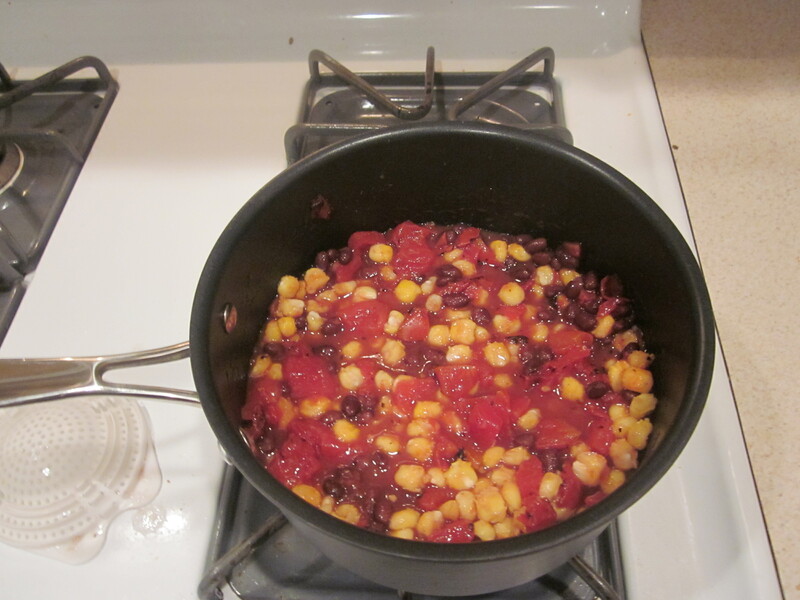 I dump some black beans, hominy/corn, and mexican-style tomatoes into a pot and cook them for about 10 minutes. Yum Yum Yum! Today I was really tired so I got an apple out of the fridge, laid on the couch, and fell asleep watching ‘Blues Brothers’. Don’t judge me. I could have had all those cakes, laid on the couch, and fell asleep watching ‘Blues Brothers’. You only thought last week’s wrap up was late. Oh well. Last week was dominated by two things: Pink Week and picture day. In support of breast cancer awareness month, our school wore pink. I have more than twice as many boys as girls, so I thought that we would get a very small percentage of participation. Not so! Many of my boys came to school wearing peach or faded red shirts. I thought their participation was so sweet! And everyone remembers picture day from elementary school. What you probably don’t remember was how badly you behaved all that day for your poor first grade teacher! In language arts we began working on, editing, and publishing our first story. They are absolutely enchanted by the books that I created for them to write their final copy. 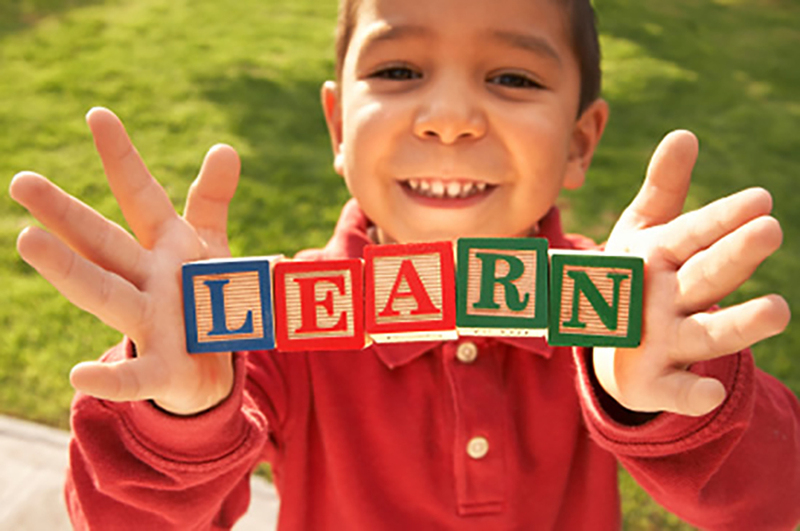 We’re also working on reading fluency, which they are learning means reading the right way, not reading as fast as their little mouths can move. In social studies, we finished up our unit on good citizenship by writing what it means to be a good citizen and drawing a picture. Examples ranged from George Washington to mommy. In science, we finished talking about physical properties and displayed our excellent knowledge by writing a physical property book! I recently read a story about a personal trainer who is making himself obese…on purpose. He is going to gain 100 pounds by eating badly and not working out. He’s already gained 70 pounds. I thought he and all his bulging muscles looked bad before (I’m into the “skinny smart” type), but at least he looked healthy! Now he looks like someone who inhaled the entire buffet at a chinese restaurant. His blood pressure is 161/113 now. He has been interviewed regarding what he has learned about what it feels to be obese. He said that he definitely feels the intense cravings, which was very surprising to him. He used to not like drinking soda, but now he can’t go a day without it because it gives him headaches. While I appreciate the fact that he wants to be empathetic towards the people with whom he works, he’s making things extremely difficult and dangerous on purpose. Here’s the problem. They asked him if he is enjoying all the junk food that he has been eating. He said that while it tastes good at first, it makes him feel like crap later. Whatchoo talkin’ bout? Junk food tastes delicious! It doesn’t make you feel bad later! Eating a lot of junk food makes you feel yucky. But heck, eating a lot of healthy food makes you feel yucky. He just doesn’t know what it feels like to eat a little junk food. Drew! You’re confused. You ate a little bit of healthy food and now you’re eating a lot of junk food. There is more than one variable! That isn’t a true experiment! Try eating a (one, uno, eins, un) candy bar. It’s scrum-diddly-umptious! And if you eat a reasonable dinner, you won’t feel crummy. Tuesdays are my alone days. 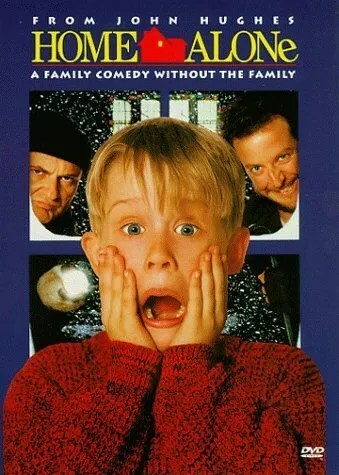 Jackson goes to Men’s Bad Movie Night, which is part of our men’s ministry at church (Jackson, who has been even more lax than I have about blog posting lately, will have to explain how eating dinner and watching bad movies is a ministry). He doesn’t get home until pretty late, so I have the evening to myself. Now, I don’t really enjoy being alone. One time my dad tried to explain to me that just because you’re dating someone, doesn’t mean you need to spend all your time with them. He told me that he and my mom used to not even see each other everyday. I told him that Jackson and I just loved each other so much, why would we want to spend time with someone else or apart? He didn’t like the assumption that went along with that statement. 4:50-Write a blog entry, hopefully. 6:30- Make dinner. It is either of no nutritional significance or it is so nutritionally significant that Jackson wouldn’t want to eat it. 8:00- Begin/continue on my Netflix queue of Cary Grant movies/prison documentaries. Sometime late: Jackson comes home. It’s been a week? Really? Sorry folks. My computer went to the computer doctor and came back blank on Wednesday. So, the biggest news about school this week is: we don’t have A/C. It broke a few weeks ago, got fixed and then broke again on Wednesday. My munchkins were miserable today. It was 90 degrees inside our room even with the windows open! Eventually we tromped outside to read Curious George because it was five or ten degrees cooler and had a breeze. We’re talking about good citizenship in social studies, and George is an example of being a good citizen because he makes mistakes, but he tries to do the right thing and he is truthful. In science we’re talking about physical properties. We explored mass by putting objects on a balance and trying to guess how many cubes would be needed to balance. Then we used cubes to measure the length of objects. Today we attempted to talk about color, but the munchkins were so tired and hot by the end of the day that we just named things and told their color. In math we’re beginning our unit on understanding subtraction. At first, they were upset about how hard it was. Now, they’re mad because “breaking numbers apart is baby stuff.” Man, they learn fast! In Language Arts we’re reading. A lot. And writing. Even more. We’re also talking about predictions. To illustrate this, I was going to hide something and give them clues to find it. So, I hid our class bear, Sandy, somewhere in the room. Then I told them that Sandy was gone. The kids FREAKED OUT. They were yelling that someone had broken into the classroom. Since the windows were open (see first paragraph regarding A/C) they were all convinced that someone had climbed through the window. Some of them were telling me to call the police. They began blaming the second graders, the “big friends” (middle school and high school). Then they started making up people: “I saw a man wearing a mask on the playground.” I was shocked. I assumed they would know it was a game. I told them that there were three clues to finding Sandy. The kids were like, “the robber left clues? !” Eventually it all got figured out, they predicted where Sandy would be, found him, and we were able to talk about how we use clues from the text and our brains to make predictions. I know I know, I’m late again. It’s been a long week. I found out that the muscles in my back are torn, my computer died, the car was declared totaled, and the A/C went out. So I’ve been pretty busy fixing things this weekend. In language arts, we wrapped up our poetry unit by taking a quiz that most of the kids did well on, and took our first spelling test that ALL of the kids did well on. We’re writing stories about a self-selected topic now. I modeled for them how to write a story by telling them about the time I broke my arm. Now they all want to write about the time I broke my arm. I told them that they needed to write about something different, so most of them are writing about the time they broke their arm… We’re also practicing how to ask questions while we read. We use post it notes to write down questions and put them up on the board in categories (Questions we ask Before, During, and After we read). In math, we’re finishing up our unit on understanding addition. The kids have discovered that you can add in any order (4+3=3+4) which they are exceedingly excited about. We’ll see how excited they are when they take their quiz on Tuesday. In social studies we’re began a unit on good citizenship that starts with learning about chronological order (I have no idea how this relates to good citizenship, but the curriculum guide said to do it, so who am I to argue?). They have learned that things happen in order: First, Next, Then, Last. And in science, we did our mini-unit on bats. The kids learned a lot, but they still call vampire bats “rabies bats.” No idea where they got that.